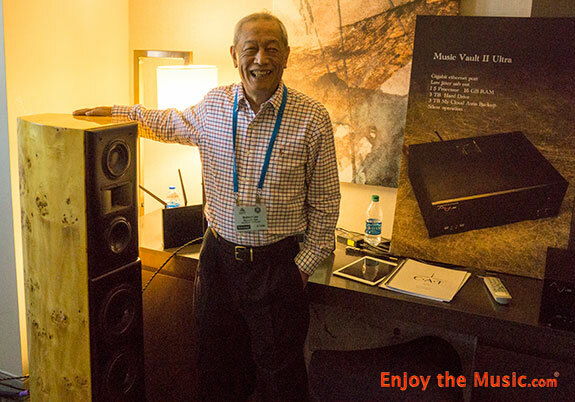 RMAF 2017 Intro, Acoustic Zen, Convergent Audio Technology, Sound Science, And Well Pleased A/V. The 14th RMAF once again benefited from Colorado's sunny weather and the show enjoyed beautiful warm temperatures all three days. 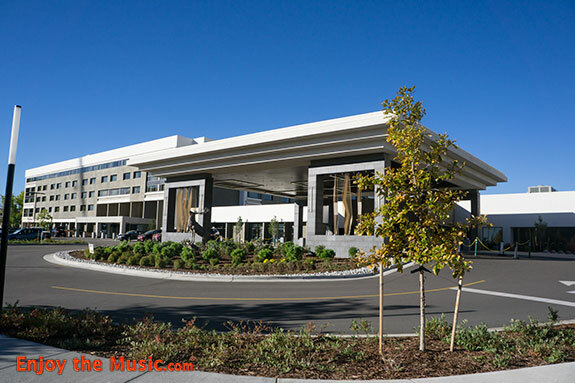 The renovated Marriott looked spiffed up nicely, the elevators worked overtime the entire show, and the exhibitor rooms were distributed with care making navigation easy. Taking into account the rooms I was able to visit (nobody can listen to all the rooms), I felt that overall it was the most uniformly good sounding RMAF yet. Manufacturers are getting used to the new room obstacles, and more than ever are using room treatments to their advantage. I was invited to a great dinner Friday night with some local and not so local friends, enjoyed the sensational after hours party that Greg Beron hosts on Saturday night spinning R2R tapes that included the Allman Brothers Live at the Fillmore East which was particularly fun, and after the show vacationed in Colorado for another 10 days visiting friends and staying in Breckenridge for a few days. Sometimes you're riding in an elevator minding your own business, and you get a surprise summons to a room. This happened to me when Robert Lee of Acoustic Zen saw my yellow name tag (Press) and told me I must come to his room, so I followed him and had a great experience with him, Ken Stevens of CAT, and Neal Van Berg who runs Sound Science in Castle Rock. Ken gave a compelling demo of why low level details are important especially in conveying the emotional content of music, and showed that this system could extract this info and help us experience the feelings of the artists. The system included a beautiful pair of Acoustic Zen Crescendo MK II speakers in stunning Bird's Eye Maple ($24,000/pr), CAT SL1 Legend preamp ($29,995), CAT JL7 Mono amplifiers ($34,990/pr), a Sound Science Music Vault MX IO Ultra music server ($9,995), Merging Technologies NADAC PL8 DAC ($11,500), and Acoustic Zen cables were utilized. They let me play my test CD here and the sounds were spectacular, in particular the bell strike in "No Sanctuary Here" by Chris Jones came from above and behind the speaker unlike every other system where the bell is stuck on the tweeter. All genres shown on this system, big deep stage, wide dynamic swings, and the piano was very realistic sounding percussive while aurally showcasing rich harmonics. Neal is the Front Range dealer for all these brands and is located just south of Denver. 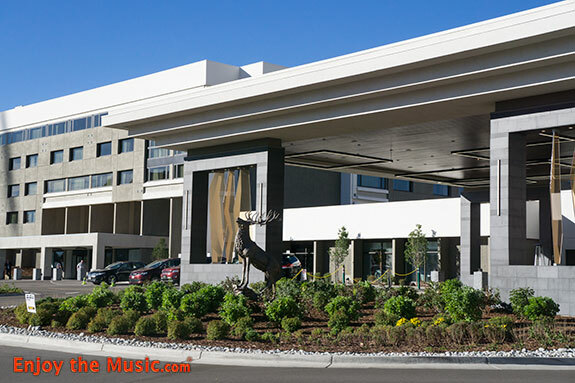 Mark Sossa who operates Well Pleased A/V distribution in Springfield, Virginia, has been working at seeking out exceptional sounding equipment that needs representation on this side of the pond and at RMAF 2017 his hard work really paid off in a big way. 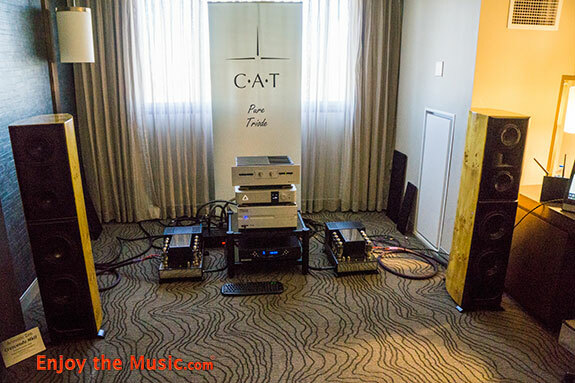 This system hit a home run for me, easily the best room Mark had fielded at any show. 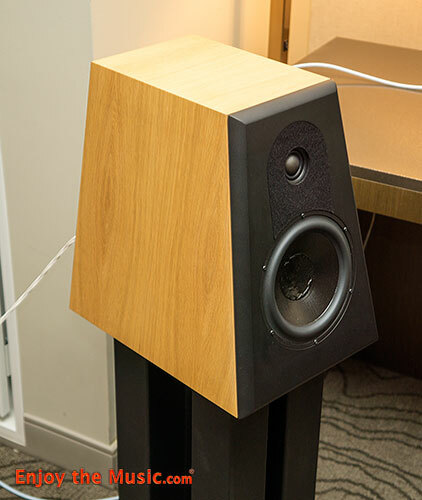 The QLN Signature 3 loudspeakers ($7,000/pr) are a refinement of a three-decade old design bringing a mature product up to date with the latest Scan Speak drivers, cabinet advancements, and crossover technologies. An important component with monitors are stands, these were from Sound Anchor weighing around 100 pounds. 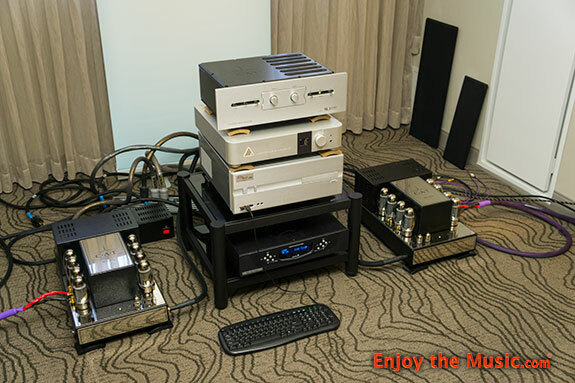 From Hungary Mark used a Qualiton A50i integrated amp ($7,500), tubed Push Pull at 50 Watts. Italy sent an AQUA Formula xHD DAC ($14,700) incorporating the latest xHD kit, new algorithms for the ladder dac and new USB receiver treatment. The top of the line Innuos Zenith SE server ($7,000) dished out music, and Paul Speltz' Anti-Cables laced it all together including his latest gold and silver Level 5 speaker cables. I need to mention that every room with Paul's cables exuded detail and musicality, and they will all get top marks. 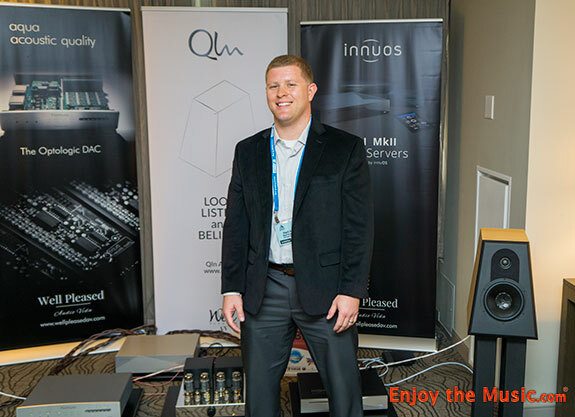 The system just excelled at every phase of making music, the QLNs completely disappeared producing one of the most convincing soundstages at RMAF, very wide and deep, the room was smaller than the apparent size of the stage. Voices were the perfect size and height, in the room presence, male vocals without a trace of heaviness, female vocals clear without being strident. This was only the second room to place the struck bell in Chris Jones' "No Sanctuary Here" cut away from the speaker, the QLNs had it above and behind them. It was as if there were no speakers in the room, only musicians. The other audiophile boxes were checked as well, detail, dynamics, tone, etc., but the most compelling feature I found was how much I was enjoying myself, either with my test CD, or the music Mark wanted me to hear, I could have stayed all day hanging out just enjoying the music! 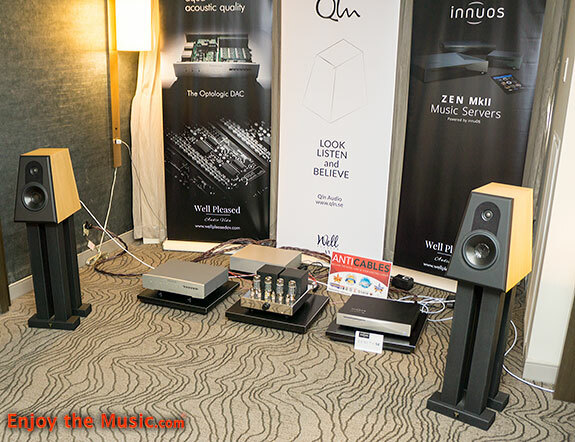 ---> Next page of Kemper Holt's RMAF 2017 show coverage.